The Suffolk County SPCA is issuing these simple guidelines to make Halloween safe for your companion animals. Keep your pet safe and secure during Halloween festivities and celebration. Suffolk County, NY - October 27, 2016 - The Suffolk County SPCA is issuing these simple guidelines to make Halloween safe for your companion animals. Keep your pet away from the front door. Your pet may become frightened from all the bell ringing and may dart out through the open door. Your dog may feel the need to protect its home and owner and bite the bizarre looking visitors. Don't leave your pet outside on Halloween. They may be injured, stolen or killed by pranksters. Black cats are particularly at risk. Do not allow your pets to eat trick-or-treat candies which may be poisonous or harm them. Do not use candles to illuminate Halloween pumpkins: Pets may tip them over and cause a fire. Halloween decorations should be kept out of pets reach. Items like spider webbing and balloons can be deadly if swallowed. Don't dress your pet in a costume unless you know he loves it. This may put added stress on the animal. If you do, make sure the costume isn't constricting or unsafe. Do not obstruct vision and be sure there is no risk of strangulation by novelty headdresses placed on your pet. Remove costume from pet when unattended. Be sure your pet has proper identification on at all times. Know your veterinarian's number and keep it listed with your other emergency numbers! Being able to react quickly in an emergency could save your pets life! Please report any acts of cruelty or neglect to the Suffolk County SPCA at 631 382-7722. All calls will be kept confidential. Remember---Halloween can be fun for kids-but can be very scary and dangerous for our animal friends. Your dog or cat count on you to keep them safe and secure! 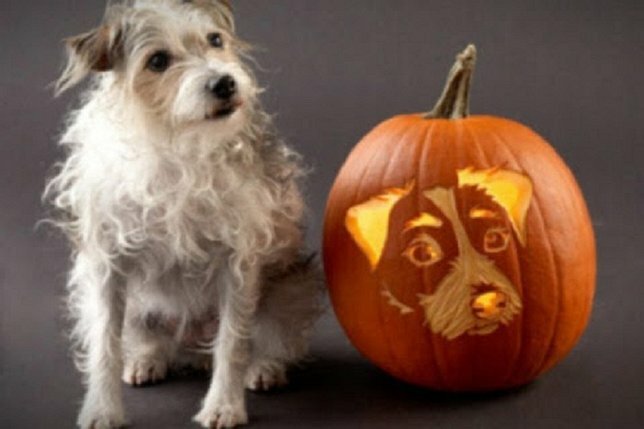 Subject: LongIsland.com - Your Name sent you Article details of "SCSPCA: Halloween Pet Safe Alert"